The mbed-enabled LPC4088 QuickStart Board from Embedded Artists is a easy to use ARM Cortex-M4 rapid prototyping board in a standard through hole DIP package (44-pin), targeted at high-performance as well as low-power applications. Communication interfaces, large on-board memories and LCD controller enables graphical user interface (GUI) and communication gateway designs. On-board connectors and industrial design makes the module perfect for product integration. On-board globally unique MAC address. Up to 24-bit pixel data (16-bit most common) via 61 pos, 0.3mm pitch FPC connector. Proper ESD protection on communication interfaces. Industrial temperature specified (-40 to +85 degrees Celsius). Production and shipping compensated for carbon dioxide emission. 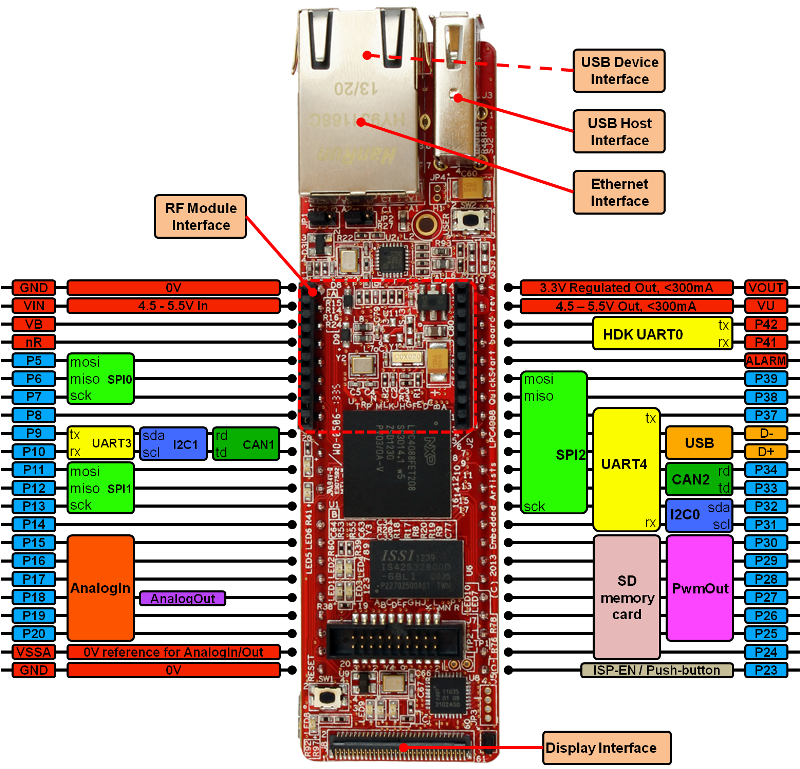 To compile a program for this board using Mbed CLI, use lpc4088 as the target name. We are the leading providers of products and services around prototyping, evaluation and OEM platforms using NXP's ARM-based microcontrollers.